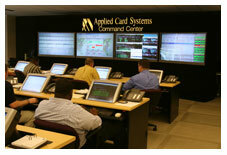 Applied Card Systems (ACS) was founded in 1987 to provide credit card processing and servicing resources to small - and mid-sized financial institutions. ACS has earned a reputation as an industry leader and innovator in marketing and servicing a variety of credit products. Today, Applied Card Systems employs Hundreds of Associates at its two servicing facilities and services over a half million Customers. The credit card products we service are general purpose Visa® and MasterCard® branded credit cards, which may be used to make purchases and cash advances at any merchant or ATM location bearing the Visa®, MasterCard®, CIRRUS® or PLUS® system marks. Our customer service philosophy is “One Call Resolution.” Customer calls are answered within 20 seconds and Customer Service Representatives are empowered, depending on the issue, to resolve a customer’s question or concern on the spot. 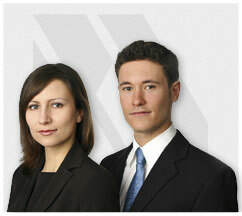 Our Specialists know the importance of responding in a professional and courteous manner. Our ultimate success is dependent on customer satisfaction no matter what the circumstances are. The willingness to invest in technology to deliver leading edge systems takes a HUGE commitment. How does a $100 million commitment sound? That’s our investment to date to ensure our technology is state-of-the-art. Do we have your attention? Well, we're delighted to say that the great majority of our Supervisors and Managers are promoted from within the Company. Okay let’s close this deal. If you would like to become a member of the ACS team, apply for a position today! Simply submit your resume.